(ThyBlackMan.com) Huami, under the wings of Xiaomi, released Amazfit Watch 2 and 2S with features focused on fitness tracking and style. Both devices sport the 1.34-inch screen in a circular shape with 320 x 300-pixel display resolution. The Watch 2 features three stainless steel buttons on its side and it is most suitable for fitness lovers, while the 2S edition is about style but lacks some key features. The 2S version has a ceramic bezel and sapphire glass. The device is accompanied by the classy leather strap. This time Huami gave a better design to both the smartwatches and they look a lot better than the Amazfit Pace. The Watch 2 comes equipped with a built-in GPS and 11 different activity modes. It also has 512MB of RAM and 4GB of storage capacity. Huami says the battery can last 35 hours on a single charge when GPS is on and the smartwatch is used continuously. For moderate to low use, the smartwatch can last up to 5 days. The Amazfit Watch 2 is specifically designed for those who are looking for a fitness-oriented wearable solution. It supports many activities including indoor running, swimming and comes with a built-in GPS and an optical heart rate sensor. The Watch 2S doesn’t bring the heart rate sensor and GPS. This smartwatch is more about style. Both the watches are waterproof and can work efficiently even if you take it underwater for up to 50 meters. The Amazfit 2 is an activity tracking beast. On a hardware level, the device sports many sensors including a PPG heart rate sensor, Gyro, Triaxial Accelerometer, Geomagnetic Sensor, Ambient light sensor, and a Barometer. The device also features a Sony 28nm low-power GPS chip. As the device focuses more on fitness, the Amazfit 2 provides some highly advanced metric including the oxygen uptake, recovery time, exercise effect, and exercise load. If you are looking for a fitness tracker plus smartwatch combination, the Watch 2 is making it really useful for you. These many trackers and features are intended for those who truly need a serious device which not power hungry and offers many ways to measure fitness performance. The biggest positive factor with the Amazfit Watch 2 is its big battery. The 280mAh battery can easily beat the other popular smartwatches including Samsung’s Gear Sport and Gear S3. Even in intense usage conditions, it can last for more than a day. The devices are launched in China and they both support the Chinese payment gateway AliPay, so it is safe to assume that they have NFC capabilities. The 4GB of storage capacity is enough to store some music. Those who workout or keep themselves busy in running, swimming or other activities, this much storage is enough to accommodate their playlist. The applications on the device run on the company’s own operating system. The devices have been announced for China and the Amazfit Watch 2 is available for $150. If you want to sacrifice GPS and heart rate sensor, the stylish 2S watch is available for $225. Xiaomi’s sub-brand Huami has not revealed any international release plans, but we expect to see the devices coming to the other regions soon. 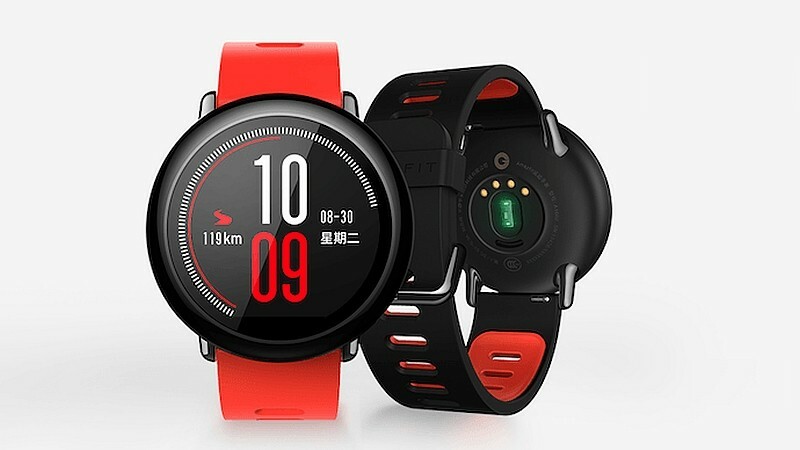 The company’s Amazfit Pace was also released in China first and later it was made available in the USA and other regions. So, the company will most likely follow the same release pattern with the Amazfit Watch 2. One of the biggest reasons why one should choose Amazfit 2 is its software. As we said that the device runs on the company’s proprietary operating system, it can do a lot more than what the other Android Wear-based smartwatches can do. When the device has its own operating system and Amazfit has a proven record of bringing budget wearables, the future of the software looks more promising. The watch can do a lot more than the regular smartwatch solutions available as it breaks the software limitations many Android Wear-based watches deal with.